A black panther stalks the streets of Thornham. Is it an escaped exotic pet or, as Wolfie Tala and Zi’ib suspect a manifestation of dark and dangerous energies…? Serpent’s Gold comes out on 7th July 2011. Go here to find out about the mysteries of the Knights Templar, Chladni patterns and dowsing which feature in the story. When I was doing the research for both books I came across some pretty strange coincidences and this one sent a real tingle down my spine. Having decided that Zemogen would have its headquarters at Battersea Power Station I tried to get permission to visit the building. I was refused so I went on line looking for images of the interior. Imagine my surprise when I found this shot (left) of the marble floored entrance hall decorated with the symbol that the children keep stumbling across in book one: the eight point star that represents the cardinal points of the compass, the pattern of the leys at Thornham, the directions of the winds, the turning wheel of the solstices and the stars of hammered gold worn by every Lupan explorer! Thanks for your email Lily, I’m really glad you like the book. I’m busy writing book 2 right now and the plan is for it to come out in 2011 but I’m not sure exactly when. I’ll keep you posted when I know more. I read Amanda Craig’s review in The Times and decided to order Quicksilver for my 10-yr-old granddaughter. When I got it I decided to read it first (I am 80 in June!). It is brilliant. 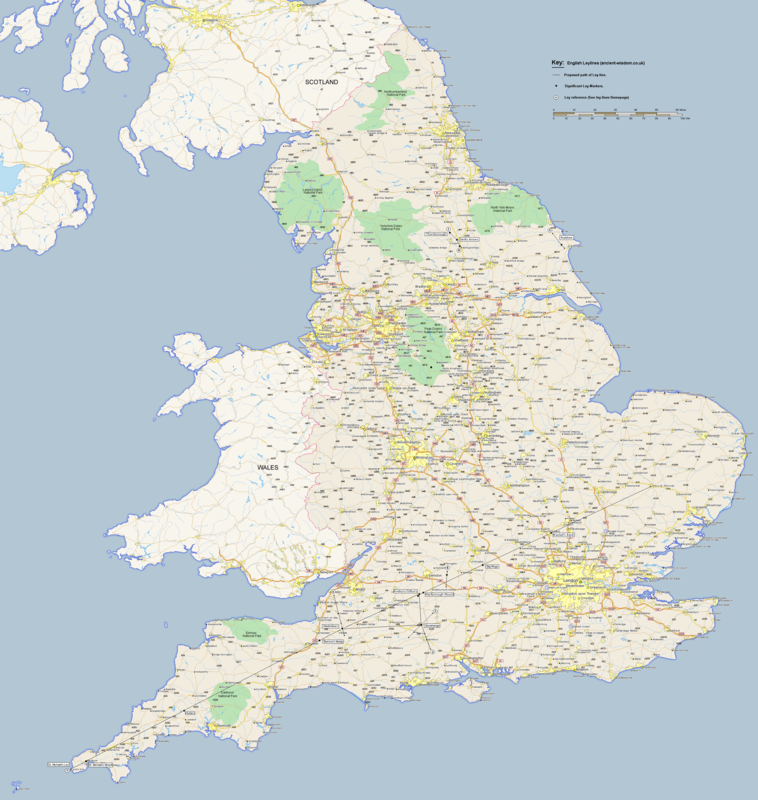 We have been interested in ley lines and all sorts of archaeological sites around the world. My eldest daughter is interested in Shamanism and we are fascinated by ancient civilisations. Thank you - I can’t wait for Book two, but please don’t spoil it by rushing. I’m blown away by the entrance hall of BatterseaPower station. Do you know about the AREPO word square (I haven’t got it in full but it could be found easily I think. We found it written in Malta. I’ts great to know that people of all ages are enjoying Quicksilver, I hope your granddaughter likes it as much as you did. Tell her to get in touch and let me know. I do know about that very intriguing AREPO word square and I will look for a copy of it on the web and post it on the magic squares page of my site. Gosh you are a quick reader! I’m so glad you enjoyed Quicksilver. I bet there are some ley lines in the Dover area particularly around the Castle - let me now if you find some. I’ve just been reading on your website and now I’ve seen your writing book 2! I was so amazed and shocked. Have you got a rough idea of what the front cover is going to look like? Can’t wait to see you at my school for world book day! I did quite a bit of snipping and tweaking of the manusccript after the proof copies came out. It’s good to know that you thought they improved the book. I hope you enjoy Quicksilver. Let me know what you think when you have read it. hey. i just got ur book nd started 2 read it. the book is sooo amazing so far.i cnt wait for book 2. i was born nd raised in Ireland but i’m orignaly from Sudan, so thats something we hve in common! Hope you enjoy the rest of it. Let me know what you think about the character of Zi’ib and the Sudanese sections - I’d appreciate your comments. I have just finished reading your book. It was brilliant! I read over half of it in one day! I am going to get all of my friends to read your book. Looking forward to see what will happen in book two. Thanks so much for your comment, it’s great to hear you enjoyed Quicksilver. Book 2 is coming along and hopefully I’ll have a title for it soon! I had a wonderful time at the N I Book Award and I was really impressed by the children’s presentations. When they have read the book, do get your pupils to post their comments on the website. I recently finished your 1st book. It was amazing! After reading it I am now always aware of leylines. Yeaterday, I was walking along the high street when I felt a surge of sudden diziness tingle through my body - do you think I was near a major ley line? I really can’t wait for your second book! I am thinking of writing my own novel.Could you give me some tips? I recently read your first book. It was amazing! Yesterday, I was walking along the high road when a sudden surge of diziness swept through me - do you think I was near a major ley line? I am impatiently waiting for your next book. When Will your next book be? Hi Isabelle - you need to get a map of the area and check out the ancient sites. It woud be fun to see if there is some hidden history near you. The best tip I can give you is to get yourself a notebook. Carry it every where you go and jot down interesting things you see and hear and make a note of anything you think of that will further your plot. If I don’t write things down I forget them immediately. The ony other advice I can give you is to open your computer or pick up a pen and paper and start. It doesn’t matter if you have to rewrite and rewrite, just get going! Thanks for the tips. Remember my name in case i am famous in the future! Sorry, I forgot to say how much I loved your book last time! I’ll do my best. As soon as I get over a three day overland trek back to London from Egypt it’ll be back to the manuscript. That’s brilliant Isaac, keep going! Hello there. I was wondering when will the second book will be published. I can’t wait anymore, I’m too excited. Please reply. I’m working on book two right now, though it’s a bit difficult to sit at my computer when it’s so gorgeous outside. If I can avoid distractions it should be be published in June 2011. It’s great that you enjoyed book one. I hope you are getting some sleep now that you have finished it! It’s great to know you enjoyed Quicksilver and I hope that you like Serpent’s Gold just as much. :0 amg… Another whole year??? Oh well as long as its good, and u don’t rush, i don’t think anyone minds… Rather have an awesome book than a partially awesome book which is rushed… And also, i know how u feel about the weather… Sometimes during exams i have to sit in and revise when the weather is amazing… Anyways, good luck with the next book! About half way through the book. Very enjoyable indeed. Great story and characters, looking forward to book two. By the way I am 46, so adults enjoy the book as well. It’s great that you are enjoying Quicksilver. Serpent’s Gold is coming along and I’m getting very involved with some interesting new characters. Hi Sam!I loved your first book it was awesome!I wonder if you could try to sell your second book in Abu Dhabi? Thank you for you lovely comments about Quicksilver. It would be great to sell both books in Abu Dhabi! I absolutely loved Quicksilver. I liked the way that each character has his/her own personality. You are amazing - how did you even come up with such an extraordinary (not to say complicated) storyline? Can’t wait for Book 2! By the way, I think that this “Post and Reply” idea is good! I’m glad you liked the characters there are some new ones in Serpent’s Gold who are quite quirky . I like this “post and reply” system as well. it’s great to be able to talk to readers and hear what they think. Thank you very much for recommending Quicksilver to your friends. I hope that you and they will enjoy Serpent’s Gold when it comes out next year. I have just read your first book at the insistance of my 10 year old son. He came and said to me it was the most interesting book he has read, and I must agree with him. We can’t wait for the next book. How brilliant to hear that children are recommending Quicksilver to their parents! I’m busy on book two but it was quite tough getting writing time over the school holidays. I do hope you enjoy it when it comes out. Great to hear that you enjoyed Quicksilver. The manuscript for book two is due in on Monday so I’m fighting off the distractions of dogs and children to get it ready! Hey! One of the best books I’ve read for a long time - thanks! I joined the facebook fan page, please send out a mass mail when the new book is published! Thanks very much for your comments. I’m glad you liked the book. Yes, good idea about the mass mail. This book was great! One of the best books ever. Can’t wait for the next book! Forgot to add, is there an aimed release date? I think when you get stuck with writing you just have to grit your teeth and press on. Even if what you have written that day may not be perfect there may be a germ of something there that is worth keeping. I think the release date for Serpent’s Gold will be June next year - definitely sometime in the Summer. If you join the Quicksilver facebook page I will be emailing everyone to let them know the exact date as well as posting it on my website. It’s great to know that you and your friends have been enjoying Quicksilver. Book Two, Serpent’s Gold is due to come out next summer. prpobably June. Sign up to my facebook page and I’ll make sure you get an email when the publishers give me a definite date. I love books and i bought QuickSilver and finished it in 1 hour !!! I kept rereading it over and over again!!! When is the second book coming out?? Because i cant wait muh longer !! I’m glad you enjoyed Quicksilver. The second book Serpent’s Gold is coming out next Summer I’ll probably be posting the opening chapter on the website by the end of the year. I’m really sorry I haven’t answered your question but I couldn’t find it on the system - can you mail it to me again? Lots of things inspired me to write, but it was mainly that I wanted to write a story that my own children and hopefully other young readers would enjoy . There were also lots of interesting facts, particularly concerning the mystery of megaliths that I had picked up while making televsision documentaries that I wanted to weave into a story. I’m writing the sequel because there is an awful lot still to happen in the lives of Wolfie. Tala and Zi’ib. Hy I just finished the 1st book and absoloutly loved it! I can’t wait 4 the 2nd 1 2 come out! REally annoyed that i have finished the 1st 1 cause now ive gotta go on camp waiting to know what happens next! It’s great that you enjoyed book one - book two is on its way but won’t be available until next summer. Have a great time at camp! Quicksilver is the best book in the entire world!!!!!! Thanks for your lovely message. Comments like that make all those long lonely hours staring at my computer screen worth while! Hi Sam, I just found QuickSilver in the library today and I was absolutely enthralled by it! I cant wait to read your second book! I was wondering, where did you find your inspiration for such an amazing book!? Seriously, It’s genius. I love all the characters in it but my favorites are Tala and Wolfie, and Elvis the dog! it was great to get your message. I think the inspiration for Quicksilver came from years of reading, years of picking up strange facts while I was researching and producing documentaries and a real fascination with the mystery of megaliths. I hope you like book 2 when it comes out next year! If I hadn’t read it yet, what would you say to convince me to do so? Also loved it by the way! I would say thank you for giving me an excuse to take a much needed breather from polishing Book Two and that Quicksilver is a modern fantasy that takes you beyond the magic of broomsticks and cauldrons to explore mysterious powers that might, just might have some basis in reality. Good thing there will be book 2. I will be the first one to read it. I’m really glad you liked it. If you keep an eye on this site or on my facebook page I’ll let you know when it is coming out. I loved Quicksilver and I just can’t wait for Book 2. I was just wondering, do you have to write a little of the book everyday? Sounds like hard work to me. Once again, I love your book. It’s great that you liked Quicksilver. Yes, I try to write everyday while my children are at school, but it’s quite difficult sometimes to get long stretches of quiet time. I do lots of thinking about plot and character when I am doing other things and I’m always jotting ideas down on scraps of paper because I can’t find my notebooks! I hope you enjoy Serpent’s Gold which is coming out this year. I have read the first book of yours over 2 times. It’s lovely to hear that you enjoyed Quicksilver and have been encouraging your friends and family to read it. Yes, there is a sequel, Serpent’s Gold, coming out this summer. I hope you all enjoy that too. Best of luck with your novel - stick at it! I’m really sorry it’s taken me a while to come back to you, sometimes the messages on the website take a while to come through. It’s great to hear that you enjoyed Quicksilver. Serpent’s Gold should be out in the summer. Do let me know what you think of it. Thanks very much for your lovely comments. Let’s just hope the local authorities change their minds about library cutbacks so we can all go on picking up books that we enjoy! I was wondering when book two will be published. Keep wriing, I enjoyed reading your first book very much. you came to my school called Broomfield for world book day a while back and I just wanted to say that I enjoyed your book and thought It was well written and had really strong characters. I was just wondering if you had any advice for me as I was thinking of being a author as a career for the future any tips? I had a great time at Broomfield last world book day and I’m really pleased that you enjoyed Quicksilver. I think the best advice to give anyone who wants to write is to read as much as you can and to just sit down and write. Keep everything, all your notes, everything you think is no good, all your different drafts because sometimes you will find a little nugget of gold in there. I also always tell people to keep a notebook with them all the time so they can jot down thoughts and snippets of overheard conversations. Good luck with it and let me know how you get on. i loved quicksilver!!!!!!!!! it was awesome and i can’t wait for the next book to come out!! i’m writtiing a storey at the moment to pass the time but also love to write and i was wondering how you can sit there writting for so long! i mean i love writting but sometimes i just can’t consintrate! do you have any advise???? I’m glad you enjoyed Quicksilver. Serpent’s Gold is coming out in July so I hope you enjoy that too. As far as concentrating on your writing goes, I think it is important to find a space you like to write in, preferably somewhere quiet. When the weather is fine you might enjoy writing in the garden or in the park. You don’t have to stick at it for hours and hours. Twenty minutes a day or even a week soon builds up. I’m glad you are enjoying it! Hi just love the book its definatly number 1 on my list just want to know if you know the month its going to come out cause i just cant wait. I think you just have to sit down and write a little every day and keep a notebook with you all the time to jot down your thoughts. Serpent’s Gold comes out in July. As soon as I have the exact date I will post it on this site. I really loved the first book and I can’t wait for the second one to come out!! Can’t wait for the next book to come out! Oh and my mum said I could get Serpent’s Gold for my birthday which is in July. I’m writing a story at the moment-well maybe not just one and whenever I have inspiration I always write it down. But I can’t think of a storyline to go around it. Sometimes it helps to start with something you know - something that has happened to you or a friend or a family member. Use the initial experience or event as the bare bones for the story. You can then start thinking about how it might have turned out differently, how a different character might have reacted under those circumstances or imagine that there was a sinister, magical or romantic significance to what happened. Good luck with it - let me know how it turns out. Yes, those sort of coincidences always send a tingle down my spine! Not long to go now, it’s out in July. Your coming to school was terific.I really enjoyed meeting you, and you’ve given me some great ideas for my writing.Using animals to build up characters is brilliant,I’m hoping to use that in my next story.I can’t wait for Serpants Gold to come out. I had such a great time with you all at Temple Grafton. The morning went by so quickly and I wish I we could have had more time together. I’m so glad you liked Quicksilver, Serpent’s gold will be out on July 7th. Hi its mikey again,i was just wondering how many book are going to be in the series? Loved quicksilver!! So intrigued by ley lines and can’t wait for book 2! Great to hear you enjoyed Quicksilver. Serpent’s Gold comes out on 7th July so I hope you enjoy that too! Not long now before Serpent’s Gold comes out, I really hope you enjoy it. I have just finished reading the 2nd book Serpent’s Gold. I found it soooo… intriguing, that I couldn’t stop reading it once I started it. Is there are another book following Serpent’s Gold? I dearly hope so coz I wouldn’t want to miss all the excitement of Wolfie,Tala, Zi’ib and Elvis the dog of course. You are the first person to post a comment about Serpent’s Gold so I am so glad you liked it. There may well be a third in the series so watch this space! i am currently reading the first book quicksilver which I picked out randomly from my local library. it looked like a good book and worthy to be reading it i really enjoyed reading and finding out more about wolfie tala and zibs adventures in each chapter. I love going to libraries so it’s great to hear that you picked up Quicksilver from your library. If you go on to read Serpent’s Gold don’t forget there is a competition to write a review of it. just loved serpents gold <3 is there going to be a third one. Great to hear you enjoyed Serpent’s Gold. Hopefully there will be a third but the books in the series take a while to write and research. Meantime I working on a thriller about a boy who investigates the mystery behind the death of his mum in a car crash. But I’ll keep everyone posted about new books on the site. It’s brilliant that you enjoyed Quicksilver. I really hope you enjoy Serpent’s Gold too! Thanks for writing amazing books and keep up the good work. Any new books coming? I love getting messages from New Zealand. It’s great to know that my books are being read on the other side of the world and I really hope that you enjoy Serpent’s Gold. I am currently working on a thriller for young adults which is an interesting departure from the mysterious world of ley lines. Just finished reading Quicksilver and loved it. So thought i’d check your website for news about book 2 (Serpents Gold)i will be checking t out real soon. I have also let my sister and niece know about your book and they will be reading it as well. I’m sure they will like it like me. I just sent you a message on Facebook to say thank you for all the likes. I’m so glad you enjoyed Quicksilver. Fingers crossed that your sister and niece like it too! I’m not sure when Serpent’s Gold is coming out in Australia but I think it should be soon. So thankful for people like you who can write stories in such a way that it captures our children’s imagination, and encourage them to love history. I am an avid lover of ancient history, and share all I know with my two boys. Needless to say , they are absolutely captivated with Quick Silver. Absolutely brilliant book! Thank you very much for your lovely message. It’s really great to hear that you and your boys are enjoying Quicksilver. Comments like yours make all the long lonely hours staring at the computer screen worth while! Do read Serpent’s Gold and tell me what you think. I’m using this name to hide my real identity for asking questions. Just got your book in Malaysia! It was fascinating! Although, there is one question about it. In the part where Wolfie, Tala and Zi’ib at the graveyard, how do you connect the words that were on the tombstone to form the riddle? It’s quite complicated and it helps if you are a chess player. Start on the K of knight in the bottom line and follow the direction of the the little serpent’s heads to move from square to square in a Knight’s chess move, noting down the capitalised letter in each square and when you join them up you get the rhyme! I read Quicksilver about a year ago and loved it, and for a while have been following the progress on serpents gold, but eventually forgot. Lots of posts on here make it sound like I’ve missed somthing big. Is it out yet!? Yes, Serpent’s Gold is out and available on Amazon. When you have read it do let me know what you think. I’ve read your 1st book, and it was awesomely cool!! You did an excellent job! When I read it, I feel like I became Tala or Wolfie or Zi’ib. It’s quite silly, yeah I know it. But, hey. I’m speechless. I can’t wait to read the 2nd book. But, it wasn’t out yet in my place. What’s wrong? It’s great to know you want to read Serpent’s Gold. I’ll investigate and email you to let you know. I’ve finished reading Quicksilver and now I’m on to Serpent’s Gold and I think that both books are awesome! Ley lines have appeared in other books I’ve read, along with the other mysteries in the two books, and it is rather fascinating. Anyways, I was wondering if another book will be released? Yes, ley lines are fascinating and once you start reading theories about them it becomes quite addictive. I’m thinking about doing a third in the series but right now I am working on a thriller for children about a boy who turns detective after his mum dies in a mysterious car crash. I’m 13 years old and I’m from Germany. My English is bad. I hope you can read it. Today I’ve finished reading the german version of Quicksilver (”Sternensilber”) and it was one of the best ( if not THE best ) books, I have ever readed. I heared that Serpent’s gold will get out this year in Germany. I will buy it so fas as I can. During reading Quicksilver I have had a feeling. A feeling that says: This is a fantastic, awesome book. And the feeling was so: I wished that the story never ends. I wished that always get a new book out and the story goes endless. I’m sure that this feeling will come by serpent’s gold and the third book too. In other comments I’ve readed that you before you write book number three, you will write a thriller. Maybe I will buy it too. I would be happy, if you will send me a mail when you begin to write the continuation of serpent’s gold or other continuations from Wolfie, Tala and Zi’ib. I was at my desk, busy writing when your message popped up and it was so lovely I had just had to stop what I was doing and write back. First of all I wanted to say that your English is excellent - miles better than my German. Secondly that I’m pretty sure that you are the first of my German readers to contact me, which is fabulous. I am thrilled that you enjoyed my book and I will certainly let you know when my next one comes out. I hope that Book 2 grips you too! first of all let me tell you that you’re absolutely AWESOME! I’m sure you must be getting that a lot though. Anyways, I actually got your book at a library where i just picked it up….okay, i admit it it was out of sheer boredom (you cant talk there, you cant move there what am i supposed to do??? dance? Oh wait, i already said you cant move…)but your book just made me FLIP! (well not actually flip, but it was just as good!). even as i post this comment (more like a whole newspaper, but still), i’m buying your book Serpent’s Gold online…i’m sure it’ll be as good. Wish you all the best. I loved your message and I’ve got my fingers crossed that Serpent’s Gold makes you flip as well! I’m involved with a group of writers who run a creative writing website for young people http://www. shoutaboutmagazine.com so f you have any pieces of written or illustrative work that you are particularly proud of log on and send them in. It’s totally free. Thanks for your message, it’s great that you enjoyed Quicksilver. I hope you enjoy Serpent’s Gold too - don’t forget to let me know what you think of it! At the moment I read the german edition of Quicksilver. I find it really interesting yet. It´s funny and exciting. I am curious to read the second book. It’s lovely to get messages from my German readers and I am so pleased you are enjoying Sternensilber. I think the sequel is coming out in Germany this year, though I’m not sure what the German name will be. I really enjoyed quicksilver and can’t wait to get serpents gold! That’s great to hear. I’ve just submitted the manuscript for my new book so fingers crossed the publishers like it! Hi Sam i just loved your book Quicksilver and am really interested to know about ley lines and stuff like that.Could you tell me any website where i can find such information. I’m so glad you enjoyed Quicksilver and I really hope that you will enjoy Serpent’s Gold too. http://www.ancient-wisdom.co.uk/leylines is quite a good site to look at and the megalithic portal http://www.megalithic.co.uk is great for ancient sites with some ley line info on there as well. Enjoy your research! Hi Sam, A 54 year old mother of 5 who stumbled quite by accident, upon Quicksilver this afternoon in a charity shop and read it from cover to cover in 4 hours. Completely connect with the childrens’ quest and the earth forces that can only be stabilised by the truths of those chosen long ago for that purpose; the inevitable pull of one’s destiny and the emotions on pages 429/430 - the why me, and why more after all I’ve done already? Thanks so, so much for giving me renewed courage and inspiration for my own. I have ordered book 2 and eagerly await reading more! I loved your books. They are really good.Will there be a third installment? Hi Divya, There may well be a third installment in the Quicksilver series but my very next book is a murder mystery, coming out next year. Meanwhile, I’ve just had some great news about the film adaptation of Quicksilver - have a look at the link I’ve just posted on the journal page. I love your books they are soo amazing. When i read quicksilver i became really intrested in things like ley lines and magic squares. I wonder if there are any ley lines in leeds (where i live) it would be cool if there were. Hi Sam, Your book was amazing! I’d love to know more about ley lines and the book of light! Serpants Gold hasn’ t arrived in SL yet , so i cant wait to get my hands on It!!!!!! AND im wandering if there will be a 3rd! Great to hear that you like Quicksilver. I’m not sure when Serpent’s Gold will be out in SL but it should be soon. Keep your fingers crossed that the film gets made - the company are supposed to be developing the script right now! Your book is awesome , I was like ,like this book is the best ever and I was like Rick you looser!! I still love Rick’s books but Quicksilver …….ROX!! Congrats and thanks . Waiting for the film! Thanks for the lovely message. Have a great Christmas! I am 12-years old, and my teacher said to me, that I need to go to the library to find books. I went to the library and find Serpent’s Gold. They said that I need to finish the book in 3 weeks. I think I will finish it in time, because I can’t put it down!! I love it! It is an amazing story! Vivien, I can’t tell you how pleased I was to get your message, it made my day! You might enjoy Quicksilver, the first in the series and keep a look out for Chasing the Dark, my new book coming out in June published under the name Sam Hepburn. But above all keep reading!!! Hi , Sam. I just finished the 1st book. And I am really excited for 2nd one. But.. I am live in Turkey. And your book doesn’t sell in here. And I’m really sorry for that. So.. do you know? when is your book sell here? Thanx , bye. I’m really glad you liked the first book but I’m not sure when the second one will be coming out in Turkey. It always take a long time for the translations to come through. I don’t know if you can buy products from UK Amazon in Turkey but this is the link to it http://www.amazon.co.uk/Serpents-Gold-Samira-Osman/dp/1407105760/ref=sr_1_1?ie=UTF8&qid=1367175872&sr=8-1&keywords=sam+osman+serpent%27s+gold. I’m so glad you liked it. Have a read of Chasing the Dark - it’s very different but you might like it.